Uplifting and Unlocking Your Journey to its Highest Potential – Dos and Don’ts of the Twin connection…. Moving out of Running, Separation and Struggle for Good. First of all I’d like to thank you for being here today – it really means so much to me! Lately, I’ve been thinking a lot about what made me start this blog in the first place and why I’m still here. Although early on my journey was fraught with challenges, heavy emotions and changes and it felt like a rollercoaster I had no control over, my Twin Flame is genuinely the most wonderful thing that ever happened to me. We shared so many amazing experiences on our journey to Union, that we wanted to share that with other Twins. We felt that if we were able to reunite in harmony, there was something we could help others with. Along our journey I studied books on psychoanalysis, the inner child, shadow aspects, mindfulness techniques, energy clearing modalities, research on neurobiology and other things I was guided to by spirit as a way to handle the challenges of the Ascension process. I soon discovered tools that really helped me, and shifts began to occur in my life. 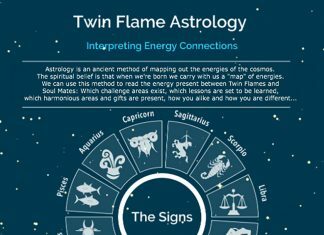 Later, spirit pushed me to begin using my new found abilities to help others and I began to coach other Twin Flames, and I realized just how much negativity was involved in the whole Twin Flame connection. It seemed like every single client I worked with were involved with “runners” or experiencing harrowing struggles of separation and difficulty. And they all seemed to have read about this in articles of books and believed that pain and struggle was an inevitable part of their journey. I began to read more about these sides of the Twin connection but my guides kept showing me in a different direction. It doesn’t have to be that way, they kept saying and showing me. Energy is the key, they said – if your energies are aligned you’re in harmony, there won’t be any problems. You yourself have experienced this. As time went by they suggested I start a blog and write about our experiences so that we could provide an alternative to a lot of the negatively attuned information available out there. 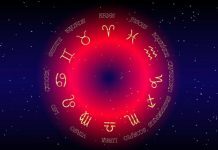 It was made very clear to me that a lot of Twin Flames were asking and praying for help – this blog would be something to really practically help them, was the message I kept getting. I was even “interviewed” to get the job – one day in the shower, I was asked a lot of questions about my own journey and work with clients, what I’d learned from it, how I’d handled difficulties, and what I would advise other Twins to do to reach a state of happiness and harmony. It must have gone well, because a few weeks later I was nudged very powerfully to sit down and start writing the Vibrational Alignment Program. They spoke, and I wrote. I was also guided to create free energy clearing tools and meditations based on the methods I’d learned myself to manage the “rollercoaster”, and to share info on what had been the most positive for us on our journey together. They guided me to write helpful articles with actionable solutions, rather than what they amusingly called “cloud speak” – mysterious Twin Flame dogma about decrees from superior beings and what the Twin Flames supposedly would have to endure in life through “lessons” and hardships. The site was very quiet at first and I nearly gave up to start with but as the months went by, I would send out a request to the universe every night that those who needed our help would find us – and more and more Twins began to show up. The Twin Flames 11:11 community now counts nearly 50,000 Twins from all over the world after a little over a year, and I know it’s no coincidence you’re here today. Which brings me to the core of the matter. I want you to know that this blog is here as a sincere effort to help as many Twins as possible experience joy and harmony, like I know we all can! So I’m sharing what I’ve experienced works. Hands down. Mine is for sure a different “method” from most other Twin sites and forums. My work isn’t based in any prior books or theses on Twin Flames, because that would just repeat existing information. As a clear channel I was deliberately kept away from anything that could taint my perceptions, so that what I write is not clouded by anyone else’s beliefs or experiences. I know it was deliberate thing too that I was chosen to do this since I have no “ego” involvement in this. I have no desire to be a “guru” to Twin Flames or have a following, although it deeply moves me to be able to help other Twins because I have been through this journey myself. Honestly, though, I have desires in life that lie far away from the spiritual scene. I know – even though you might have been hiding from this fact – that you are an infinite soul. You came here fully equipped to take this journey to a place of joy and love. Your intuition is there to help you any time you are willing to listen to it. However, you might have to let go of a lot of limiting beliefs about how the Twin Flame connection is “supposed” to be before you can be open to know the real underlying truth. Focus inside, listen to your intuition – it will always tell you what’s to your highest good by letting you feel light and happy when things are in alignment, and it will give you a heavy, low feeling when things are out of alignment. Clearing your energy will help you tune in to your intuition. Begin to listen to it, and it will become your best friend and compass on this journey. Yes, that means also that there’s no “secret” book/meditation/crystal/article/psychic session that can fix your Twin connection overnight. The truth is there is no “trick” or intellectual “solution” to live in love and joy. This is why there are still thousands of self help books being published every single year on how to find love and happiness. From 80s classic “Men are from Mars, Women are from Venus” to this year’s latest love and dating fads. 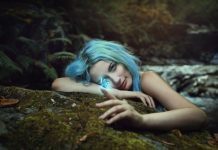 There’s no “trick” anyone has found to magic love and harmony, and believe me: people have been looking for millennia – as far back as Ancient Greece over three thousand years ago people were trying to “figure out” love. After coaching and communicating with thousands of Twin Flames from all over the world and seeing the connection in action, I know a few things about what keeps people stuck and what makes some Twins’ experiences harmonious and loving. 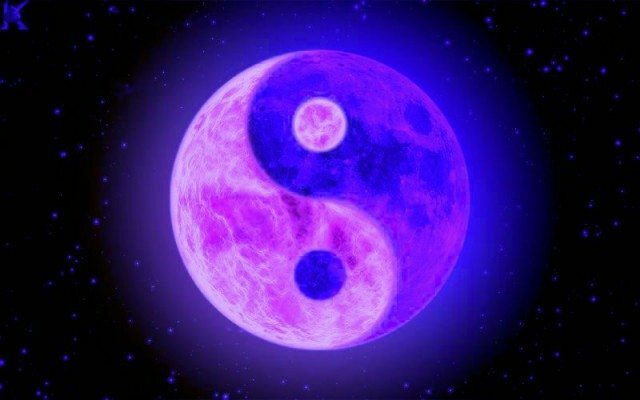 What determines whether your Twin Soul connection is harmonious or chaotic and fraught with problems, is your energy vibration and your core beliefs. If you’re heavy with congestion, limiting belief structures and negative karma, this will keep you out of alignment with the Union and Harmony you desire. This is why you can have read all the Twin Flame info in the world and still be stuck in problems! Energy attracts its like. Like with a radio, it’s like being tuned into Metal FM and expecting classical music. It won’t happen! You have to change the channel, in energy terms – you have to raise your vibration. If you’re high vibrational, accepting and forgiving of yourself and others and hold beliefs that are positive and loving, this holds you in alignment with more of those things – including harmony with your Twin Flame. This is why this journey is “magically” joyous to some Twins – it’s because of their personal energy vibration. The truth is, you can’t change your energy vibration by reading information. There is no Twin Flame ‘trick’ you’ll one day read and that will magic everything into perfection for you overnight. It’s all about energy. If you’re holding onto a lot of negativity you and your Twin will be in a state of dissonance, pushing each other away… If you’re in a high vibration, on the other hand, you’ll be attracting each other like magnets. I’ve had clients who had been waiting for their Twin Flame for over 20 years to no avail, and it wasn’t because they were doing something “wrong”, hadn’t understood the connection or because it had been decreed that they were “unworthy” of uniting. It was simply because their energy wasn’t in alignment with it. The universe is infinite. There are 8 billion people on planet Earth. Your journey and your Twin connection is unique. No one else has the same energy frequency and background as you and your Twin, and your path might look different from others’. Keep this in mind on your journey. This is why I share actionable tools that you can adapt to your unique situation, no matter what. And on a side note, keep that in mind when you think about how many Twins are unhappy – they might just be the ones who are eager to share it with others … so they can feel better, lighter of their burden. It’s a common human trait to want to share our horror stories and negativity with others (which is where we get “internet trolls” from). The Twins who are happily together might just be less likely to want to start blogging about it… It doesn’t mean they don’t exist! No matter what’s happened before, you can shift your situation into harmony and love. The time it takes will depend on the amount of energy that needs to shift to get you there, but it is possible. Those are the laws of energy. If you’ve been having a hard time, the first thing to do is accept that it’s possible for things to change for the better. Don’t buy into the illusion that things will always be hard. That’s just one perception. The universe is infinite. I was recently guided to create a Complete Energy Clearing Session for the Twin Flame Pair to help Twins cleanse and balance their energies, eradicate triggers of running and providing shielding, protection and new light codes. If you’re interested you can read more about that here. You came here to be happy. You and your Twin in fact pre-engineered all your life circumstances to fit with coming back together in love. The so-called Twin Flame “mission” is tied in with sharing love and bringing high vibration energies to earth, so none of us came here to suffer. We all knew that once we came here it would be our choice what to do with our lives. Your higher self and your guides will do what they can to nudge you in the direction you desired before you came here, but they can never make you do anything. That’s what the synchronicities and the 1111s are all about – it’s them talking to you and encouraging you. But the choice is always yours. Free Will means it’s completely up to us if we stay stuck in negativity or move up into the joy and harmony our souls knew was possible. And we knew this when we came here – that we would be on a learning experience back to each other. The Key? Love. The Twin Flame connection is all about Love. It’s that simple, and that complicated. The reason it’s complicated, is that human beings have a built in pattern of thinking everything has to be complicated. So we try to “figure it out”. It’s in our culture and in our hardwiring. The truth is: You can have, be and do anything you desire. It’s just a question of shifting your energy. I know it can seem hopeless, but trust me it’s not. I’ve seen it happen with s so many others – I know how fast things can change once you get going. You can even read about other Twins’ amazing experiences with my methods here. I want you to know I’m no “better” or “spiritual” or “advanced” than you. I’m not superior to you. And neither is any other “Twin Flame expert”. Remember always that whatever information you’re reading about the Twin Flame connection, has been received and interpreted through the person’s human filter, no matter how “spiritual” that person seems. What I’m happy to say I do have is a joyous Twin Flame connection, fully united in harmony. And I know you can get there too because I’ve seen it happen before, and I have the tools to help you get there. Want more? For an easy, fun way to manage your mindset, elevate your vibration and harmonize your journey with your Twin, have a look at the Vibrational Alignment Program for Twin Flames.